Are they or aren’t they? Are several top government officials under sealed indictments or not? Have US marines landed at Langley to arrest Deep State operatives at the CIA headquarters. Is it true that key Deep State operatives have been roughed up in order to gain cooperation? Let’s see where the facts takes us on these topics. Much of the information that is in this article comes from two broad categories (1) open source intelligence information from which about 75% of all intelligence comes from; and (2) the publicly disclosed “insider” information from many of my colleagues that has been made public. However, there is one piece of information that has been disclosed that has not been properly cited. I am speaking about Robert Mueller who has turned state’s evidence. The SGT produced a 12 minute video in which they revealed some of the strategy that has accompanied Trump’s counter-coup against Deep State operatives. The video documentary is very well organized, well-sourced and confirms much of what I already know to be true. However, the report is missing a couple of pieces of the puzzle that are essential to understanding that a state of civil war exists between the Trump administration and the majority of the American people against the subversive operatives of the Deep State and their radical followers. In the following video, SGT alleges that Robert Mueller has led a plot, in conjunction with key members of the Trump administration that will soon turn the tables on the Russian collusion charges. The topic has to do with Clinton’s sale of nuclear grade uranium to the Russians. As I reported in 2015, the uranium was seized by the BLM from ranchers and farmers in the West. The Bundy family would be one of these victimized families. The well done SGT Report did not report on this fact. Here is an excerpt from 2016 in which I alleged with complementary documentation that Hillary obtained the uranium from American ranchers and farmers like the Bundy and the Hammond families. 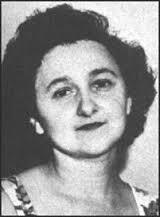 I will go one step further than Donald Trump’s assertion that Clinton and state that Hillary Clinton is this generation’s Ethel Rosenberg. 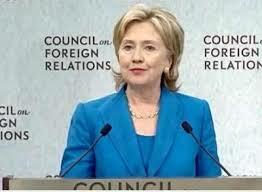 Hillary Clinton, the Ethel Rosenberg of her generation. Clinton sold uranium to the Russians while serving as the Secretary of State and this is what both the Bundy and the Hammond Ranch Affair is all about. And there is nothing to suggest that these nefarious acts are still ongoing. A former key member of the Obama administration and current Presidential candidate, Hillary Clinton, has proven herself to be the Ethel Rosenberg of her generation. You may recall your U.S. history as Ethel Rosenberg sold nuclear secrets to the Soviet Union at the height of the Cold War. In an act every bit as egregious as Ethel Rosenberg’s treason, Hillary Clinton sold uranium to the Russians while serving as the Secretary of State. Ironically, the original source on this treasonous act committed by Clinton was none other than the liberal rag we call the New York Times. The rest of this story, along with the relevant history of Uranium One can be accessed by clicking here. As good as the SGT Report is, it does not contain this highly relevant information. There is another piece of evidence that needs to be brought in relation the SGT Report. The topic has to do with the flipping of Robert Mueller and his new-found allegiance to the Trump administration. Robert Mueller is a traitor to this country. Robert Mueller has broken too many federal laws in his role as special prosecutor to even count. On the surface, Robert Mueller belongs in prison for his actions in support of the Clinton Foundation and their Uranium One deal. The SGT Report correctly and without substantiation reveals that Special Prosecutor, Robert Mueller, is engaged in a double-cross to turn the Russian collusion charges back onto Clinton and her associates. Here is what I wrote about Mueller’s invovlement in the Uranium One conspiracy. In the article from the above-referenced statement appears, I also published a memo which ties Mueller into the delivery of the highly enriched uranium to the Russians. The article can be found here. So why has Robert Mueller joined Trump in going after the Deep State operatives? The obvious answer is that he had to in order to avoid prosecution. Robert Mueller has joined Trump, not because he wanted to, but because he had to. 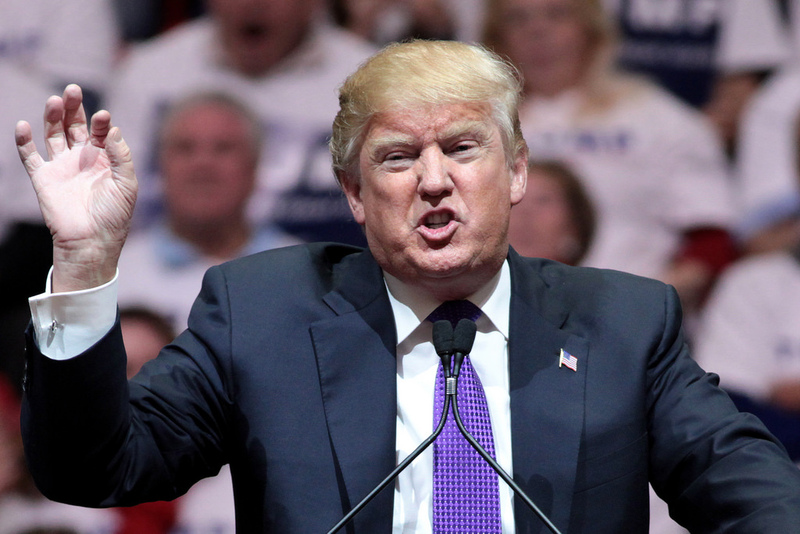 Trump in what will become the biggest sting in American political history. The SGT Report does not explain the flip-flop of Robert Mueller. Mueller could be shot as a traitor for delivering nuclear grade material to the Russians. When he was confronted with this evidence, he had no choice but to join the other side. And the SGT Report correctly asserts that the phony investigation into Trump’s alleged Russian connections would eventually land on Hillary’s illegal sale of uranium to the Russians and Mueller was caught up in this. Soon Comey will be singing the praises of Trump as well. These revelations explain why Podesta’s brother has quit his own firm because he was involved. John Podesta was involved as well. Wasserman Shultz hired the Awan brothers to erase as much evidence as they could. This is part of what Seth Rich leaked to W-ikileaks and this is why Podesta had him murdered. Please note that the guardians of the Deep State, Youtube (Google), demonitized this video while it was still in the cue. As Steve Quayle likes to say “You know you are over the target when you are getting flac”. People have asked me what caused me to suspect that Mueller had flipped sides and was actually pursuing Clinton et al? Besides the fact that the deeper that Mueller dug into Trump’s Russian connections, the more Hillary was implicated, there were media revelations as well. Further, there was a well-placed leak about 3 weeks ago, made to Fox News, in which the Uranium One conspiracy was reported in a very prominent manner. Add to that, the Clinton Foundation and the DNC was being outed by Donna Brazile at the same time on Fox News. I recognized these news releases for what they were, a psyops directed against the Deep State. Why would Fox News air such a thing? Simple, Rupert Murdock has had his disagrements and conflicts with the Deep State and the New World Order. And who could forget that Murdock and Trump had a well-publicized meeting when it was obvious that Trump was going to win the Republican nomination. Trump and Murdoch are allies. Fox News is part of the plan to take down Clinton et al. People have asked me how did I get so close to the truth? The simple answer is that I have very good sources. To illustrate this point, please allow me to relate a Larry Nichols and Jeff Sessions encounter. In the early fall, Jack Easum and Paul Martin had befriended Larry Nichols. Larry Nichols told Jack that he had received a call from his old pal, Jeff Sessions. Sessions caled Nichols and screamed at Nichols to stop giving me inside information. However, Nichols informed Sessions that he had not passed along infomration to me, which was true. When this story reached me, I knew I was on the right track. Donald Trump has flipped Mueller. What about the Marines at Langley and the all the rest? Undoubtedly, the empire will strike back and the uncovered topics that were not covered here, will be presented in the next part in this series. Oh brother this is an eye opener. Way to go. And they thought that they could screw Trump. I read how smart he is and he is proving it beyond a shadow of a doubt. Trump as been around the block a few times and he has nailed these buggers good. Well people I hope your eyes are open now . !!!!!!!!!! You better thank God for giving us these man.!!! TRUMP HAD TO WIN THIS ELECTION,,,, EVEN THOUGH THE FED AND THE WALL STREET CAPTURE OF OUR COUNTRY AND DC AND STATE GOVERNMENTS MATTERS NOT WHICH PARTY IS IN POWER,,,,,,,,,,HOWEVER PRESIDENT TRUMP JUST DID GOOD FOR THE AFRICAN WILDLIFE AND ALL POTENTIAL TROPHY ANIMALS OF ENDANGERED SPECIES IN UPHOLIDING THE TROPHY BAN,,,,,,,you did good mr. president,,,,ya gotta keep doing good!